The Cassini mission is providing better and better data and imageries of just what’s really happening on the surface of Saturn’s moon Titan. And it’s starting to appear awfully familiar. 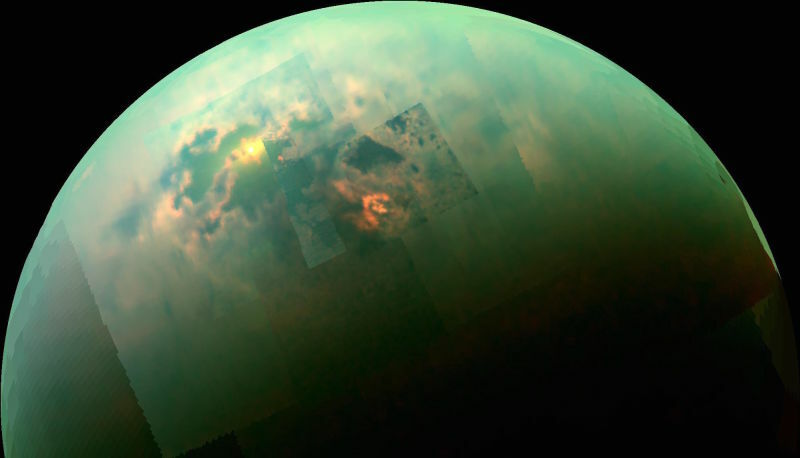 The newest data NASA scientists have been receiving displays new details about the bizarre lakes and seas that flood across Saturn’s cold moon, Titan. It also appeals contrasts amid the only other interstellar body discovered to have similarly liquid lakes and seas on its superficial—our very own Earth. But Unlike our watery world, Titan’s lakes and seas comprise pure liquid methane. Scientists even believe that the weather along with those Titan shorelines acts a lot like the shores along our own seas, with temperatures along them effected by the temperature in the lake. But even though the liquid cycle joined with Titan’s nitrogen-heavy atmosphere may appear a lot like Earth, there’s a lot of variances to separate them. For example: Titan’s nearly complete lack of oxygen, the chilly temperatures, and the irritating fact that its liquid methane filling up those seas instead of water. Still, it’s pretty much a familiar sight to see in some extremely strange landscape.